Tesla Motors Board Member Kimbal Musk, brother of Elon Musk, discusses Tesla Motors news at the Milken Institute Global Conference in Beverly Hills where he sat on a panel providing insight into impact investing. Kimbal is Chef and Co-Founder of The Kitchen, with restaurants in Colorado. 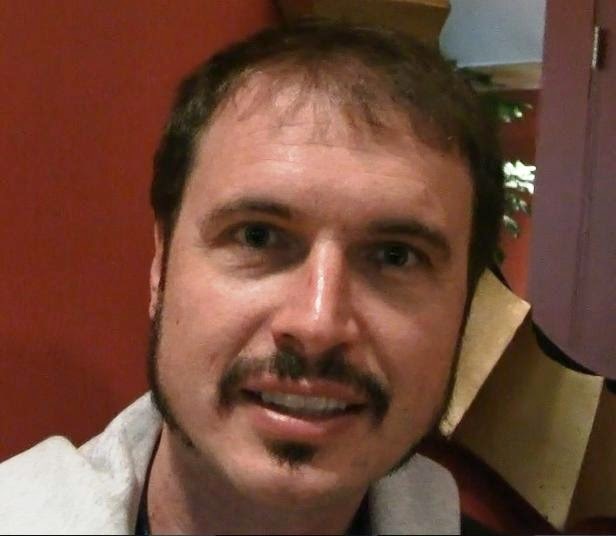 In addition, to Tesla, he is also on the board of SpaceX and Chipotle Mexican Grill. The 2016 Subaru WRX with a 268 horsepower 2.0-liter direct injection turbo BOXER engine and standard Symmetrical All Wheel Drive comes standard with a 6-speed manual transmission and offers an optional performance automatic transmission, the Sport Lineartronic™ with manual mode with a starting MSRP of $27,390 (including $795 destination & delivery). For the WRX Premium with 6-speed manual transmission, the upgraded Subaru STARLINK 7.0” Multimedia Navigation system comes in a $2,100 package that also includes the harman/kardon amplifier and 9-speaker premium sound system. The top-of-line Limited trim, starting at $31,190, has leather-trimmed upholstery, an 8-way power driver’s seat and Welcome Lighting. The 2016 Subaru WRX STI with a 305 horsepower 2.5-liter turbocharged/intercooled BOXER engine has a starting MSRP of $35,490 (including $795 destination & delivery). For the 2016 WRX STI Limited trim, a low-profile trunk spoiler is now available as a no-cost option in place of the standard large signature wing. The standard trim STI can be upgraded with a Navigation option packaged with the harman/kardon amplifier and 9-speaker premium sound system along with Keyless Access and Push Button Start with PIN Code Access for $2,600. A rear vision camera is standard on all trims. The 2016 WRX models have safety features including Blind Spot Detection, Lane Change Assist and Rear Cross Traffic Alert. In addition, new STARLINK™ touch screen infotainment systems offer a significantly enhanced user experience in all models. The 2016 models will arrive at Subaru dealerships this summer. 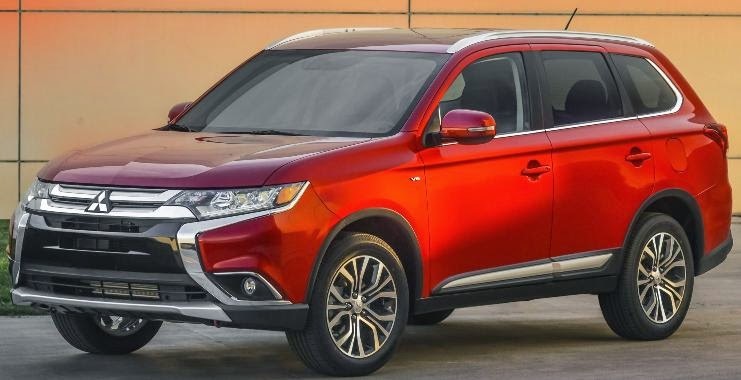 The new 2016 Mitsubishi Outlander seven-passenger crossover, boasting over 100 engineering and design improvements, is powered by a 166 horsepower 2.4L MIVEC SOHC 16-valve Inline 4-cylinder engine mated to the new generation continuously-variable transmission offered in the two wheel drive ES and AWD SE, SEL trims. The GT model has a 224 horsepower 3.0L MIVEC SOHC 24-valve V6 engine. The new 2016 Mitsubishi Outlander has increased body and suspension structural rigidity, redesigned suspension and Electric Power Steering, noise-isolating windshield and rear door glass, more sound insulation, new dynamic front suspension and rear differential dampers, improved weather stripping and engine compartment trim and a 6 speaker 140-watt AM/FM/CD/MP3 audio system. Mitsubishi’s advanced safety systems including Forward Collision Mitigation, Lane Departure Warning and Adaptive Cruise Control are now available for the SEL and GT Models. Mitsubishi offers a fully transferable 5-year/60,000 mile new vehicle limited warranty, a 10-year/100,000 mile powertrain limited warranty, a 7-year/100,000-mile anti-corrosion perforation limited warranty and a 5-year/unlimited mile roadside assistance. The all-new 2016 smart fortwo with the length unchanged at 8.8 feet and a 3.9 inch wider track powered by an 89 horsepower turbocharged three-cylinder engine mated to either a five-speed manual transmission or the twinamic automatic dual clutch transmission, launched in Europe in November 2014, will arrive in U.S. dealerships September. 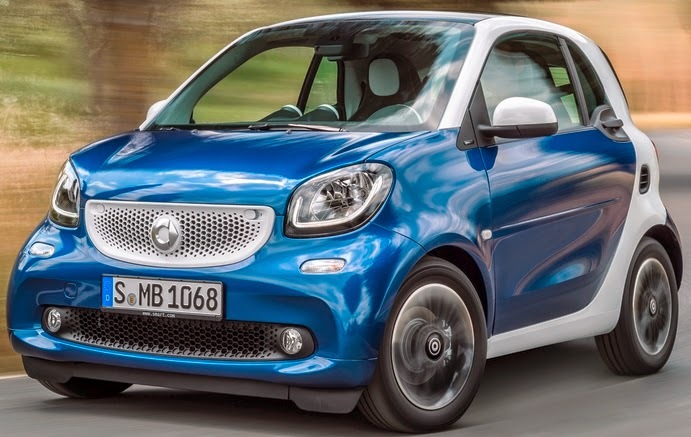 The smart fortwo comes with 8 airbags as standard and standard-fit crosswind assist, active from 50 mph when driving straight ahead and in gentle bends, is able to defuse dangerous gusty winds by carrying out specific braking intervention when the vehicle threatens to drift off track. The entry-level pure version has LED daytime driving lights, central locking with radio remote control, cruise control, multifunction steering wheel, smart radio with CD-Player, Bluetooth (handsfree/audio streaming), power steering, exterior temperature indicator with frost warning, instrument cluster with 3.5 in color display and trip computer and power windows. Upgraded trim lines passion, prime and proxy have features that include a leather multifunction steering wheel, power and heated mirrors, height adjustable driver seat, armrest, and retractable cargo cover. The Sport package and Lighting package offer more options. Five years after the market launch, China is the third most successful market for smart, after Germany and Italy. The 2016 Mazda MX-5 Miata, lighter, quicker than its predecessor, with a SKYACTIV-G 2.0-liter engine achieving an EPA-estimated 27 mpg city/34 mpg highway/30 mpg combined when equipped with the standard SKYACTIV-MT six-speed manual transmission (EPA-estimated 27 mpg city/36 mpg highway/30 mpg combined when equipped with the six-speed automatic). The 2016 Mazda MX-5 Miata goes on sale this summer. 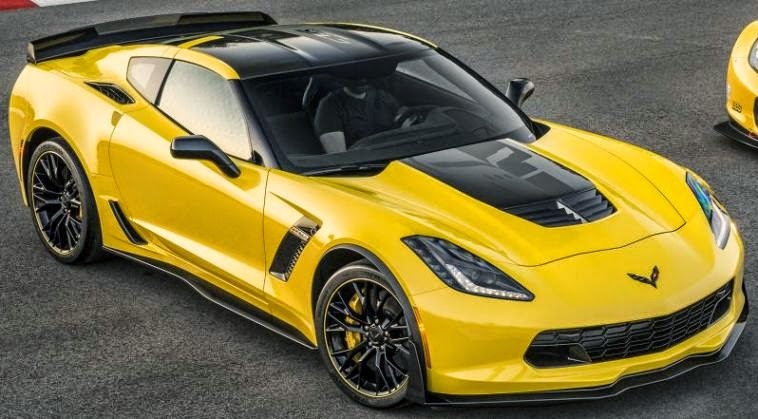 2016 Chevrolet Corvette Z06 C7.R Edition with the 650-horsepower supercharged LT4 engine is track-capable and only 500 will be built and include the Z07 Performance Package with Brembo carbon ceramic brakes and Michelin PS Cup 2 tires, a specially serialized vehicle identification number starting with VIN 700001, visible carbon fiber ground effects package, new visible carbon fiber hood section, available front curb view parking camera and MyLink connectivity enhancements with smartphone projection technology . 2016 Chevrolet Corvette Z06 C7.R Edition goes on sale later this year. 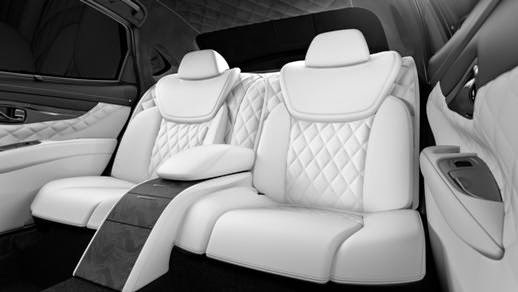 Infiniti Q70L Bespoke Edition with a 5.9-inch longer wheelbase features four seats wrapped in white quilted leather. The 2016 Lexus ES luxury sedan in the U.S. will continue with a 3.5-liter V-6 engine and a gasoline-electric hybrid powerplant while engineers have made structural reinforcements for stiffness in the vehicle’s unibody construction and a sound-reducing layer behind the dashboard to better isolate engine noise from the cabin. The ES offers Lexus Safety System which includes a Pre-Collision System to detect vehicles and pedestrians, Brake Assist to activate emergency braking, Lane Departure Alert and Radar Cruise Control that uses millimeter-wave radar to detect the speed of the vehicle ahead in order to adjust the cruise control speed setting accordingly. Nissan Lannia, introduced at Auto Shanghai 2015, was designed by Nissan Design China for young Chinese drivers. Volkswagen C Coupé GTE plug-in hybrid sport sedan is 199.7 inches long, 76.0 inches wide and 56.9 inches high powered by a 212 horsepower four-cylinder turbocharged and direct-injection TSI gasoline engine combined with a 126 horsepower electric motor, and mated to an 8-speed automatic transmission for a total system output of 248 horsepower. The concept car can travel up to 31 miles in zero emissions E-mode, at up to 81 mph. It has NEDC combined fuel consumption of 102 mpg, a total range of more than 684 miles with 0 to 62 mph acceleration of 8.6 seconds reaching a top speed of 144 mph. The new Ford Taurus with a new twin-turbo 2.7-liter EcoBoost V6 engine, unveiled in Shanghai, is designed especially to meet the needs of the Chinese market with power reclining rear seats with a massage function, a panoramic sunroof, plenty of second-row legroom, and a rear-seat control panel for air conditioning, seat functions and car media. Mercedes-Benz Concept GLC Coupé carries the GLE Coupé formula over into a more compact segment with an overall length of 186.2 inches on a 111.4 inch wheelbase and powered by a 367 horsepower biturbo V6 engine teamed with a 9G-TRONIC nine-speed automatic transmission and 4MATIC permanent all-wheel drive. Mercedes-Benz calls the above pictured GLC as a "near-production-standard show car". The Cadillac CT6 Plug-In Hybrid Electric joins the upcoming range-topping CT6 sedan line-up combining an all-new rear wheel electric variable transmission to a 335 horsepower two-motor system with a 2.0L turbo 4-cylinder engine with spark-ignited direct injection and variable valve technology. An 18.4 kWh lithium-ion battery pack is located between the rear seat and the trunk and is comprised of 192 prismatic pouch cells, which use the latest generation cell chemistry found in other GM plug-in vehicles. Range estimates will be provided closer to U.S. launch of the Plug-In Hybrid Electric model. The Audi prologue allroad plug-in hybrid joins the Audi prologue and Audi prologue Avant in the prologue line-up with a 4.0 TFSI V8 with twin turbocharged engine combined with an electric motor integrated into the eight-speed tiptronic to produce 734 horsepower driving the quattro all-wheel drive system. The show car accelerates from 0 to 62.1 mph in 3.5 seconds and gets 98 mpg. The 2016 Nissan 370Z Coupe equipped with a standard 332 horsepower 3.7-liter DOHC V6 engine with Variable Valve Event and Lift Control and mated to a 6-speed manual transmission starts at $30,815 (including $825 destination and handling) and is on sale now. The top-of-the-line 370Z Coupe Touring with a 7-speed automatic transmission with paddle shifters starts at $40,095. The 2016 Nissan 370Z Coupe is offered in four well-equipped trim levels 370Z, Sport, Sport Tech and Touring, with no available option packages. 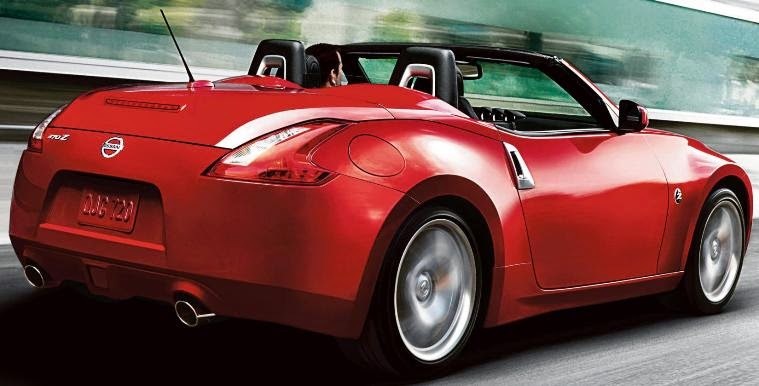 The 2016 Nissan 370Z Roadster with a 332-horsepower 3.7-liter DOHC V6 engine with Variable Valve Event and Lift Control matched with an electronically controlled 7-speed automatic transmission with Downshift Rev Matching and standard paddle shifters starts at $42,645 (including $825 destination and handling). The 2016 Nissan 370Z NISMO with 350-horsepower 3.7-liter DOHC V6 engine with Variable Valve Event and Lift Control mated to a 6-speed manual transmission starts at $42,815 (including $825 destination and handling). The all-new, third generation 2016 Honda Pilot has a 280 horsepower direct injected 3.5-liter SOHC i-VTEC® Earth Dreams™ Technology engine, 30 more than its predecessor, matched to a choice of a 6-speed automatic transmission or, on upper trims, a 9-speed automatic transmission. The 2016 Pilot is available in a new top-of-the-line Elite trim together with LX, EX, EX with Honda Sensing™, EX-L, EX-L with Honda Sensing™ and Touring trims. The available Honda Sensing™ suite of safety and driver assistive technologies includes Collision Mitigation Braking System™ with Forward Collision Warning, Road Departure Mitigation System, Lane Keeping Assist System with Lane Departure Warning and Adaptive Cruise Control. The 2016 Pilot has an all-new selectable Intelligent Traction Management system featuring Normal, Mud, Sand, and Snow modes on the AWD model and Normal and Snow on the 2WD model. The 2016 Pilot will go on sale this summer. The Honda Civic Concept is a preview to the 10th-generation Civic lineup launching in the U.S. this Fall featuring a longer wheelbase and lower, wider stance, with new Earth Dreams Technology™ powertrains, including a new 1.5-liter VTEC® Turbo engine with direct injection, a short-shifting 6-speed manual transmission, and a new, more sporty and efficient continuously variable transmission. The new Civic lineup will include Civic Sedan, Coupe and Si models along with the return of the Civic hatchback, followed by the launch of a new Civic Type-R as the performance flagship of the Civic lineup. The new Civic will offer the Honda Sensing™ suite of advanced safety and driver-assistive technologies, including Lane Departure Warning, Forward Collision Warning, Multi-Angle Rearview Camera, Adaptive Cruise Control and Honda LaneWatch™, along with Honda's next-generation Advanced Compatibility Engineering™ body structure. The all-new 2016 Chevrolet Spark, with a slightly longer wheelbase and an overall height about 1.6 inches lower than the current model, is completely redesigned with new, available safety and connectivity features and an all-new 98 horsepower Ecotec 1.4L I-4 engine with manual and continuously variable transmissions delivering a GM-estimated 40 mpg on the highway with the available CVT. 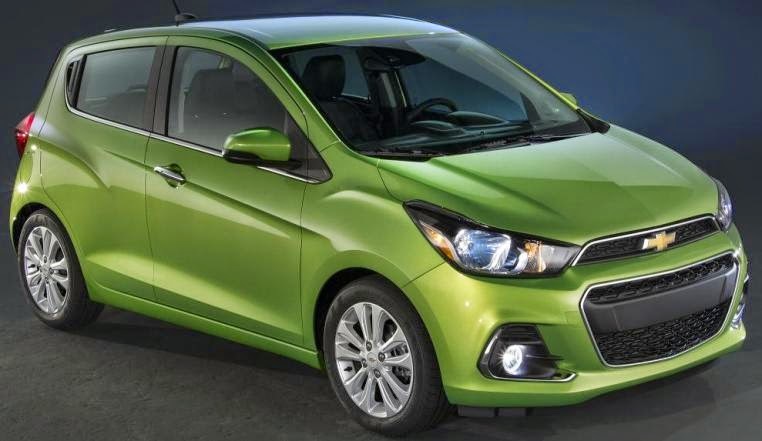 The 2016 Chevrolet Spark will be produced from globally sourced parts at GM’s Changwon, South Korea assembly facility and goes on sale in the United States in the fourth quarter of 2015. The 2016 Toyota RAV4 hybrid, offered in XLE and Limited trim levels, is Toyota's eighth hybrid offering as part of the refreshed 2016 RAV4 launching this Fall. 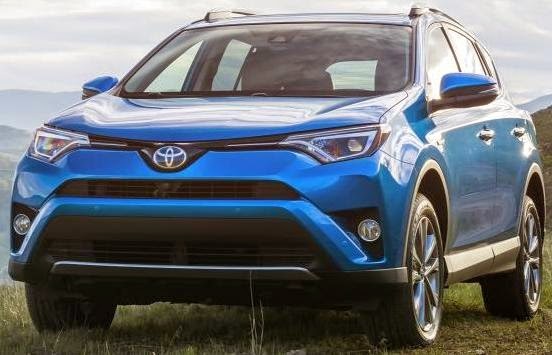 All 2016 RAV4 models will feature refreshed exterior styling with a new front fascia with an available LED lights, a new lower rocker panel to the rear bumper and lift gate with available LED taillights. Additional new exterior features include front and rear silver skid plate garnishes on most models and a standard shark fin antenna. The all-new 2016 Nissan Maxima gets a redesigned 300 horsepower 3.5-liter VQ-series V6 engine mated to a new performance-oriented Xtronic transmission anticipated to achieve a 15 percent increase in highway fuel economy to an EPA estimated 30 miles per gallon. The all-new Maxima, now offered in five grade levels including new SL, SR and Platinum grades, goes on sale in early summer 2015 with a $33,235 starting MSRP (including $825 destination and handling charge). Included as standard is NissanConnect with navigation, 8.0-inch touch-screen display, Remote Engine Start and RearView Monitor. 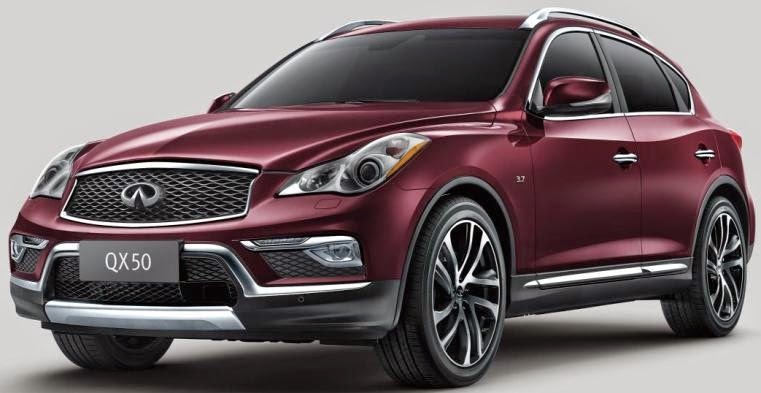 The 2016 Infiniti QX50 equipped with a standard 325-horsepower 3.7-liter V6 engine and a 7-speed automatic transmission will have a new look when it goes on sale in North America in Fall 2015. The QX50 wheelbase has been extended by 3.2 inches, with most of the gain, 4.3 inches of additional legroom for rear seat passengers. Overall, interior volume has been increased by 8.3 cubic feet, including an additional 2.7 cubic feet of cargo space. 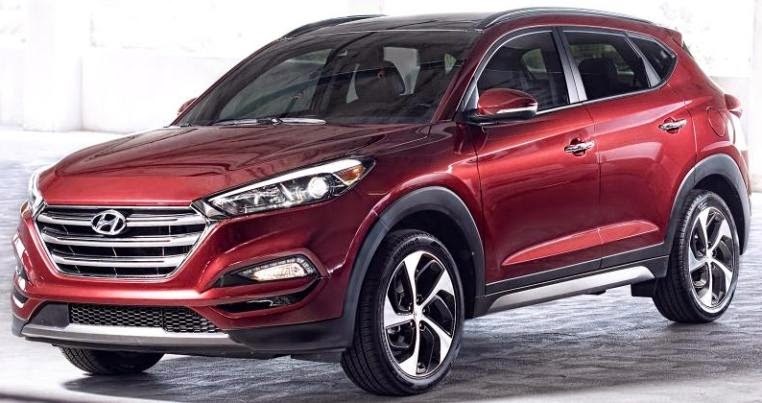 The all-new 2016 Hyundai Tucson crossover utility vehicle has a one inch longer wheelbase is stiffer, lighter and wider with greater interior volume and five cubic feet more cargo room over the previous model. The base models offer 164 horsepower 2.0-liter, direct-injected four-cylinder engine coupled to a 6-speed automatic transmission with SHIFTRONIC™ manual shifting mode and includes an overdrive lock-up torque converter for higher fuel economy at highway speeds. Based on internal tests, fuel economy for the 2.0L FWD model is estimated at 23 (city), 31 (highway), 26 (combined). Eco, Sport and Limited models offer a new 175 horsepower 1.6-liter turbocharged, direct-injected four-cylinder engine coupled to a new seven-speed EcoShift® dual-clutch transmission. Based on internal tests, estimated fuel economy for this powertrain on Eco FWD models is 26 (city), 33 (highway), 29 (combined), a 5-mpg improvement over the former Tucson 2.4L engine. Sport and Limited FWD turbo engine models are estimated at 25 (city), 30 (highway), 27 (combined), representing a 3-mpg improvement in combined fuel economy over the former Tucson 2.4L engine. In addition, the new Tucson’s fuel tank has been increased by 1.1 gallons for even greater driving range. The new Tucson will arrive at Hyundai dealers in July. The all-new 2016 Kia Optima wheelbase has been extended 0.4 inches to 110.4 inches and widened by an inch to 73.2 inches with a new 178 horsepower 1.6-liter turbocharged four-cylinder that’s mated to a seven-speed Dual Clutch Transmission. Carrying over are the 185 horsepower 2.4-liter GDI four-cylinder, available on the LX and EX models, and the 247 horsepower 2.0-liter GDI turbo engine, available on the SXL and SX Turbo models, mated to a six-speed automatic transmission with Sportmatic® shifting while the SX and SXL trims add paddle shifters. The all-new 2016 Kia Optima will come in LX, LX Turbo, EX, SX Turbo and SXL trim levels when sales begin in the fourth quarter of 2015. As with its predecessor, the all-new Optima will be built at Kia’s plant* in West Point, Georgia. Pricing will be announced closer to the vehicle’s launch date. The Subaru STI Performance Concept signifies a plan for U.S.-expansion of Subaru Tecnica International (STI), the performance division of Subaru, in its three core business areas: aftermarket parts, STI-tuned cars and motorsports. 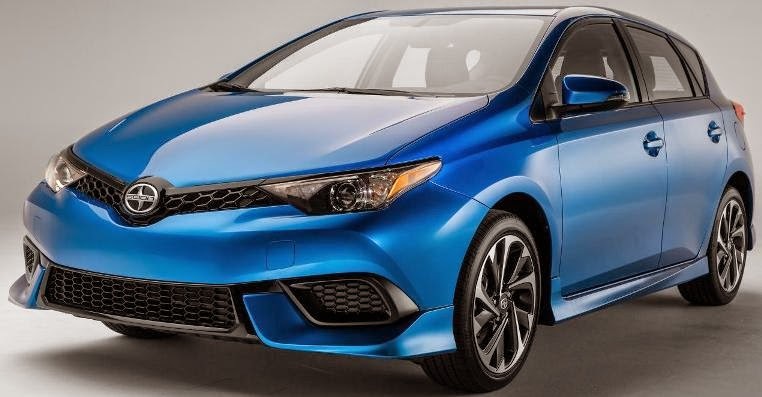 The all-new 2016 Scion iM has a 137 horsepower 1.8-liter 4-cylinder DOHC Valvematic engine mated to a standard 6-speed stick shift transmission and comes with eight standard airbags, including a driver’s knee airbag and a front passenger seat cushion airbag. The all-new 2016 Scion iM arrives in dealerships this Fall, starting under $20,000. The Scion iM Concept debuted at the 2014 Los Angeles Auto Show. The 2016 Scion iA sedan has a high-compression 106 horsepower 1.5-liter 4-cylinder engine with a choice of 6-speed manual or 6-speed automatic transmissions delivering manufacturer-estimated fuel economy ratings of 33 city / 42 highway / 37 combined MPG. The Scion iA comes with a Low-speed Pre-collision system that uses a laser sensor to help the driver avoid collisions and to help minimize damage in the event of an accident. A rear view back-up camera is also standard. The new 2016 Scion iA will arrive in dealerships this Fall for an estimated MSRP in the $16,000-range. Porsche Boxster Spyder has a 375 horsepower 3.8-liter horizontally opposed six-cylinder engine that takes it from 0 to 60 mph in 4.3 seconds and to a top track speed of 180 mph. The new Boxster Spyder will be launched in the U.S. market in October and can now be ordered at dealerships. In the United States, the MSRP is $83,095 (including a $995 destination charge). The 2016 Cadillac CT6, one of eight all-new vehicles the brand will launch by the end of the decade, sits on a 122.4-inch wheelbase and offers an all-new Cadillac 3.0L Twin Turbo engine at an estimated 400 horsepower, a new 335 horsepower 3.6L V-6 naturally aspirated engine or a 265 horsepower 2.0L I-4 turbocharged engine, all mated to a new eight-speed automatic transmission. Production of the 2016 Cadillac CT6 begins at the end of 2015 for the North American market. The all-new second generation 2016 Jaguar XF large luxury sedan featuring Jaguar aluminum-intensive construction will be offered in rear-wheel or all-wheel drive, with a choice between a 340 horsepower or a 380 horsepower 3.0-liter supercharged V6 engine available with one of two eight-speed automatic ZF® transmissions. The 2016 XF sedan launches in Winter 2015. Chevrolet introduced its ninth generation all-new 2016 Malibu midsize sedan, completely restyled and engineered to offer more efficiency, connectivity and advanced safety features is four inches longer and nearly 300 pounds lighter than the current model. The all-new 2016 Malibu offers a 182 horsepower hybrid powertrain with a direct-injection 1.8L four-cylinder engine mated to a two-motor drive unit that has been slightly modified from the 2016 Chevrolet Volt to provide a GM-estimated 48 mpg city, 45 mpg highway for 47 mpg combined. The Malibu’s standard 160 horsepower 1.5L turbo powertrain is projected to offer 37 mpg highway. There's also a 250 horsepower 2.0L turbo mated to a new eight-speed automatic transmission. The new Malibu will be offered in L, LS, LT and Premier trims, as well as the Hybrid model and goes on sale in the fourth quarter of 2015. The all-new 2016 Lexus RX, 4.7 inches longer than the current model, has a more powerful 300 horsepower 3.5-liter direct injection V6 engine mated to a new eight-speed automatic transmission. That's 30 more horsepower than the 2015 model. The RX 450h’s Atkinson-cycle 3.5-liter V6 when combined with the electric motor generator also results in around 300 horsepower. The RX has a completely new front end highlighted by a spindle grille, more aggressive front bumper and available triple L-shaped LED headlamps with the all-new LED fog lamps and LED daytime running lights. The RX F SPORT (AWD models only - pictured above), will be available with both models’ engine offerings for the first time. The McLaren 570S Coupé with a 562 horsepower 3.8-liter V8 twin turbo engine will retail from £143,250 ($213,730) while the the 540C Coupe, to be unveiled at the Shanghai Auto Show later this month, will start at £126,000 ($187,992). The all-new lightweight carbon fiber chassis, race-derived McLaren Sports Series supercars will commence deliveries later this year. The 2015 Mercedes-AMG C63 and C63 S sedans have starting MSRPs of $64,825 (including $925 destination/delivery charge) for the C63 sedan with a 469 horsepower V8 bi-turbo engine and $72,825 for the 503 horsepower C63 S sedan when they launch this month. General Motors' Chevrolet, GMC, Buick and Cadillac dealers in the United States delivered 249,875 vehicles in March 2015, down 2.4 percent year over year. Fleet deliveries were up 5 percent and retail deliveries declined 5 percent. Year-to-date GM sales of 182,710 is a 5 percent decline. Ford Motor Company posted overall sales of 235,929 vehicles, down 3.4 percent. Year-to-date Ford sales of 594,663 is a 2 percent gain over last year. Lincoln division sales 8,695 was down 3.1 percent and year-to-date sales of 21,478 was a 0.6 percent decline. Toyota Motor Sales reported March 2015 sales of 225,959, an increase of 4.9 percent from March 2014. Toyota division posted March 2015 sales of 194,905, up 4.4 percent and Lexus set a new March sales record of 31,054, up 8.6 percent from March. Year-to-date sales of 575,620 is a 10.5 percent rise over 2014. FCA US (Chrysler, Jeep®, Ram Truck, Dodge, Fiat) reported U.S. sales of 197,261, a 2 percent increase compared with sales in March 2014, the group’s best March sales since 2007. Year-to-date sales of 505,854 is a 6 percent increase. Nissan total U.S. sales for March 2015 of 145,085, a 2.7 percent drop from 2014. Nissan division March sales of 132,560 was down 3 percent from a year ago while Infiniti March sales were 12,525, up 0.2 percent over 2014. Year-to-date total sales of 367,628 is a 3.6 percent rise over a year ago. American Honda reported March 2015 Honda and Acura vehicle sales of 126,293, a decrease of 5.3 percent versus March 2014. The Honda Division sold 111,623 vehicles in March, a decrease of 5.2 percent for the month. The Acura brand posted sales of 14,670, down 5.8 percent over the same period last year. Year-to-date total sales of 333,943 is a 2.6 percent gain over last year. Hyundai Motor America reported its best month ever, selling 75,019 vehicles, up 12 percent versus the same period last year. Year-to-date sales of 172,029 is a 7.5 percent increase over 2014. Kia Motors America reported record March sales of 58,771 vehicles, up 7.3 percent over the same period last year. Year-to-date sales of 141,100 is a 6.1 percent gain over 2014. Subaru of America reported record sales for March 2015 totaling 49,111 vehicles, a 10.4 percent gain over March 2014. Year-to-date sales of 131,281 is a 16.8 percent gain over the same period in 2014. The BMW Group in the U.S. (BMW and MINI combined) reported March sales of 40,139 vehicles, an increase of 12.2 percent from the same month a year ago. Year-to-date sales of 91,269 for the group is a 12.6 percent increase over last year. BMW brand vehicle sales increased 6.9 percent in March for a total of 34,310 compared to March 2014. Mazda North American Operations reported March U.S. sales of 32,123 vehicles, representing a decrease of 8.0 percent versus last year. Through March, Mazda has sold 78,044 vehicles year-to-date, a 1.3 percent decline from last year. Volkswagen of America reported sales of 30,025 in March 2015, down 18.2 percent from 2014 and year-to-date sales of 79,239 is a 9.3 percent slide from a year ago. Separately, Audi of America reported that its March 2015 sales increased 20 percent to 17,102 vehicles, the second-best month in U.S. sales. Through the first quarter of 2015, Audi U.S. sales rose 13.8 percent from last year to 40,098 vehicles. Mercedes-Benz reported best-ever March sales of 29,921, increasing 9.2 percent from the same month last year. Retail volumes for Sprinter Vans climbed 24.2 percent to 2,379, combining with 583 units at smart for a March total of 32,883 for Mercedes-Benz USA. Year-to-date, Mercedes-Benz delivered 78,156 vehicles, up 7.6 percent. Adding 5,559 units for Sprinter and 1,533 units for smart, MBUSA achieved a record first-quarter close of 85,248. Mitsubishi Motors North America reported March 2015 vehicle sales of 9,764, an 8.5 percent sales increase from March 2014. Sales in the first quarter of 2015 are up 19.9 percent from the same period last year. Volvo Cars of North America reported U.S. sales of 5,916, steady compared to March 2014. Year-to-date sales are up 0.2 percent over the first quarter of 2014. Porsche Cars North America announced March 2015 sales of 4,291 vehicles, a 12.7 gain over 2014. Year-to-date sales of 11,430 is 12.8 percent higher than the same period in 2014. Sales will be updated a manufacturers report.